On behalf of the people of Rincón de la Vieja Lodge, we welcome you and invite you to delight in the natural beauties of our homeland and explore all the sensual wonder we have to offer. 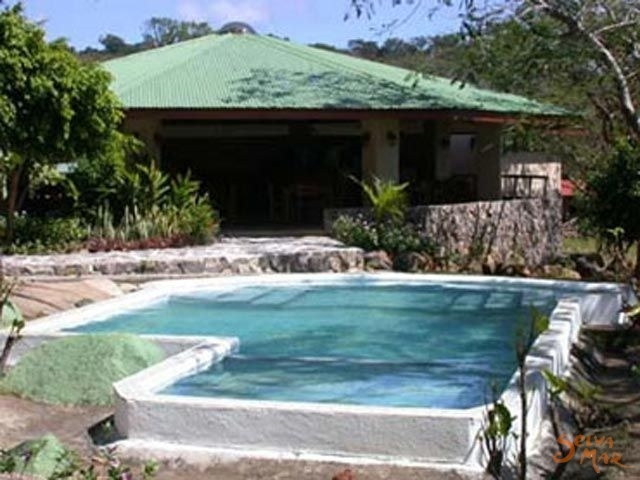 Our Lodge is located in Guanacaste, Costa Rica. 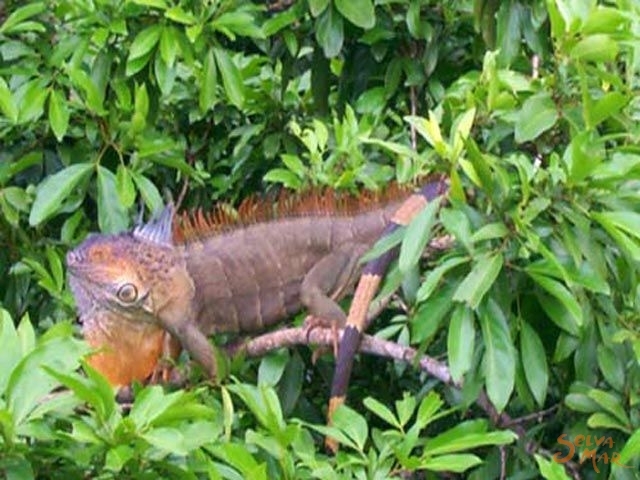 We are inside the Guanacaste Conservation Area at the side of the Rincon de la Vieja Volcano. 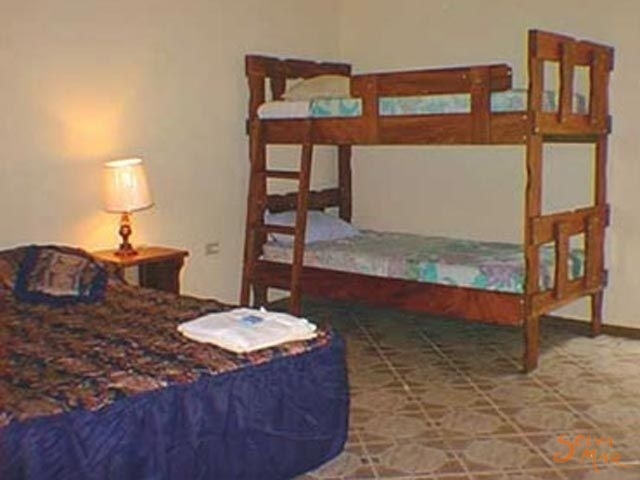 We are the closest Hotel / Lodge to the Rincon de la Vieja National Park. Each of our tours, has its own charm and special interest. 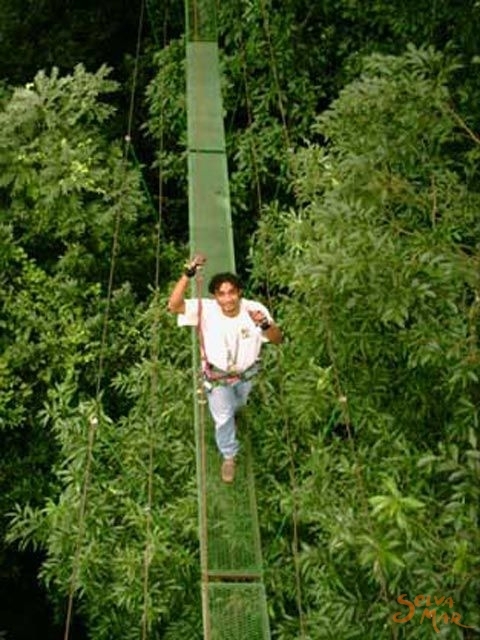 We offer Canopy Tour, Horseback Riding, hiking and more. Our natural wonders are relatively close to each other, yet the diversity of the landscape, vegetation, wildlife, volcanic activity, waterfalls and scenery can be starkly different when horseback riding or hiking from place to place. When you leave our hotel, you will have much to take home. However, we hope that a small part of you stays with us, so that you will want to return again and again. But while you are here, our little part of the world is yours to explore and enjoy! An active volcano draped with virgin forest, this attractive park lies 12 miles northeast of Liberia at the end of a non paved road. 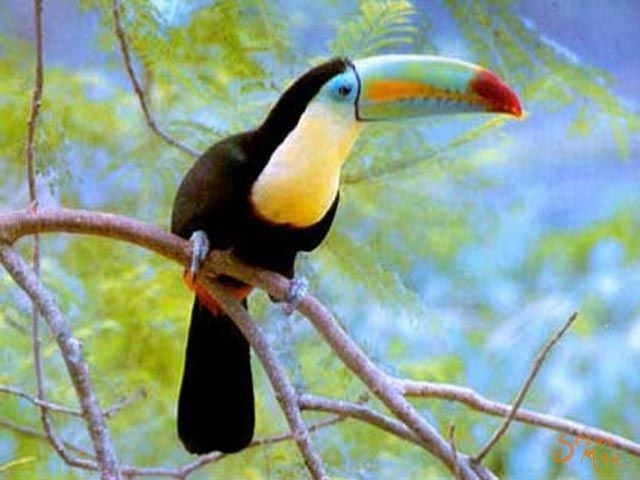 Though it's a tough hike to the top, one can see Lake Nicaragua from the summit on a clear day, and the volcano's slopes are covered with both wet and dry forests, which contain hidden lakes, rivers and waterfalls and an abundance of wildlife. 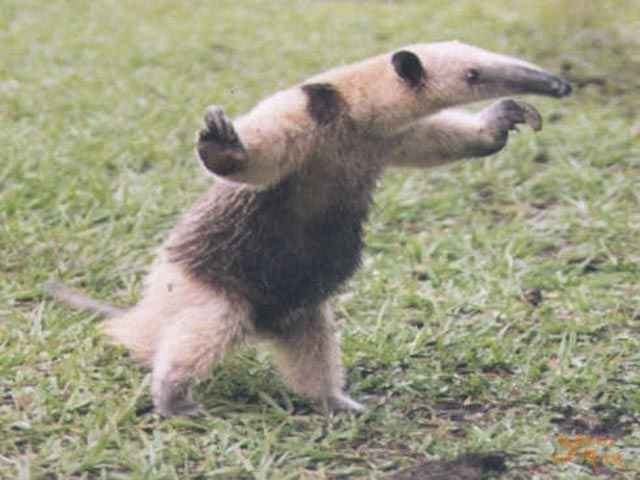 Resident species include the resplendent quetzal, three-wattles bellbirds, morpho butterflies, tapir, coatimundis and three kinds of monkeys. 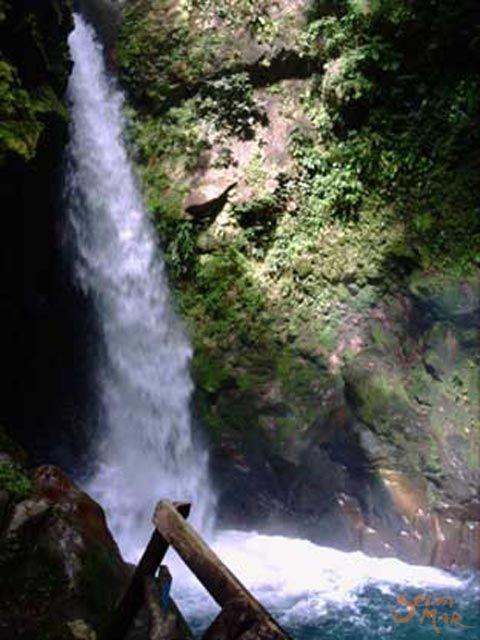 The park also has small geysers, bubbling mud pots and mineral hot springs, which have earned it the name "Costa Rica's Yellowstone". 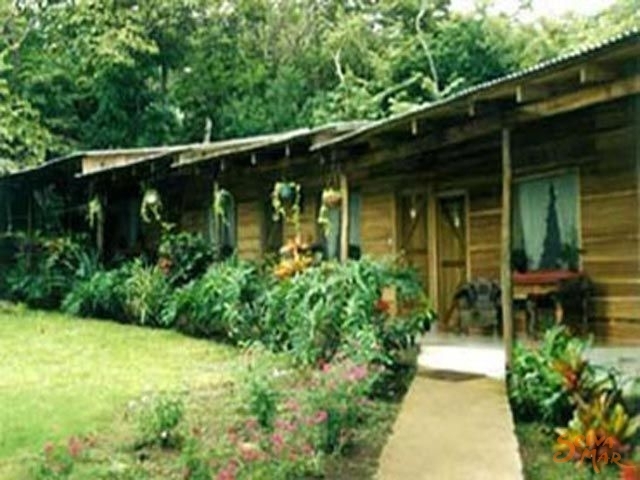 Our Lodge is located in Guanacaste Costa Rica. 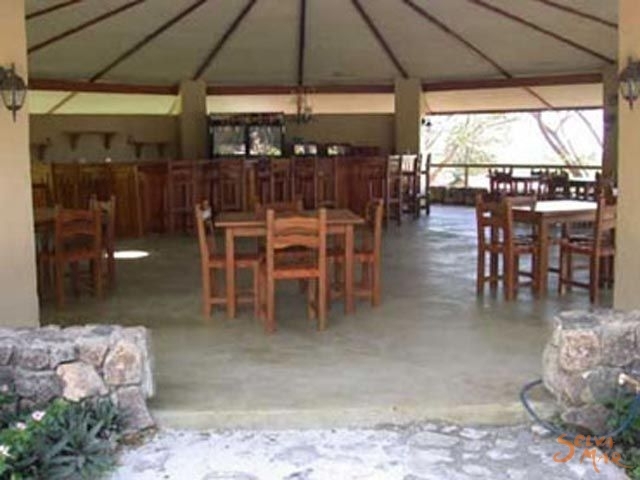 We are inside the Guanacaste Conservation Area at the side of the Rincon de la Vieja Volcano. 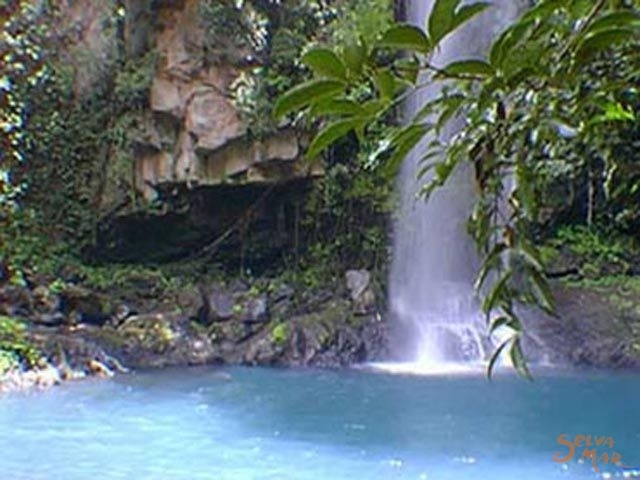 Dedicated to the eco-tourism, we are the closest Lodge / Hotel to the Rincon de la Vieja National Park. 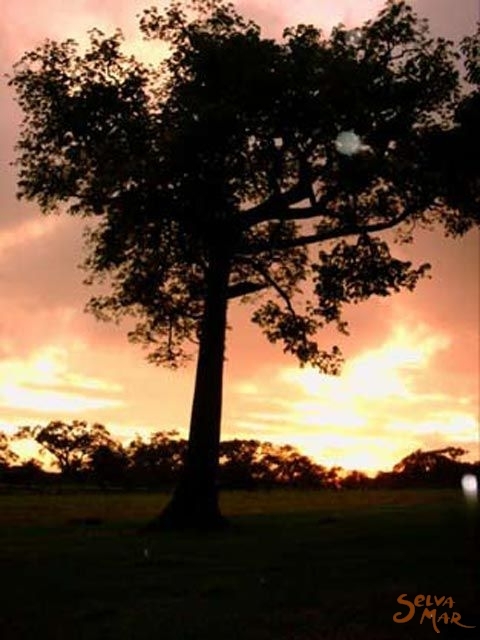 A total of 70% of our 400 hectares of land is dedicated to ecological project and reserve. We are offering peace and tranquility in harmony with the nature. 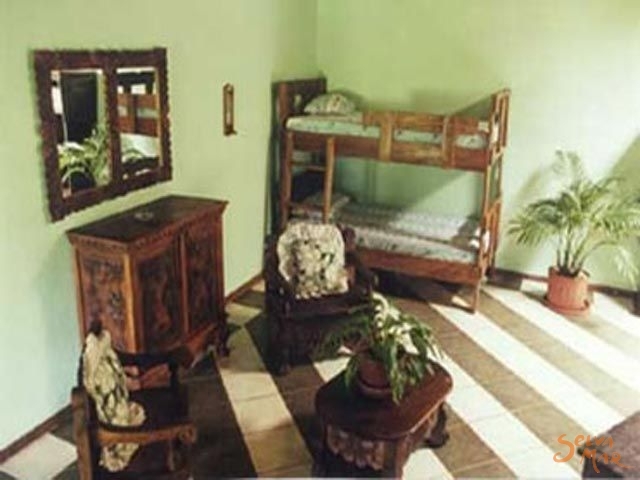 It is almost a rustic museum, like an old Hacienda house, constructed of wood with 49 double or multiple rooms with private bath and hot water surrounded by forest. There is a bar, a small swimming pool, a family style restaurant with exquisite typical food, telephone, fax & Internet service and TV area. We provide our electricity by falling water into a turbine, 24 hours a day, that moves a generator, producing the electricity. It is nice, quiet, ecological and safe. 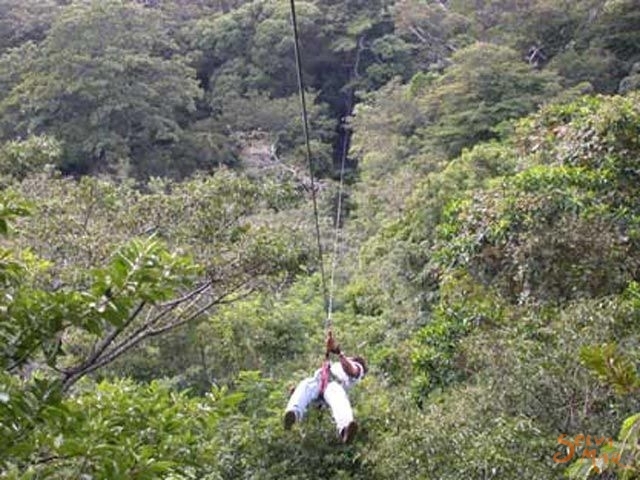 Six types of tropical forest, 900 acres Private Reserve, 11 attractions points, 30 miles of forest trails from 2,100 feet above sea level to 6000 feet high. Horseback riding tours everyday, tours with bilingual naturalist guides, archaelogical sites, volcanic attractions, more than 300 species of birds and 11,000 species of plants. Visit our butterfly garden and nursery and see beautiful butterflies fluttering around exotic flowers. This beautiful 90 feet high waterfall drop down into a magnificent blue fresh water lagoon where one can swim and cool off after the 2 hours hike. Its totally blue because of its copper content in the water.Incredible views of the Papagayo gulf and great hiking through primary and secondary forest. The most volcanic activity you can see through out the country with geysers, caves, mud volcanoes, natural sauna steam bath, sulfur warm water springs and more! 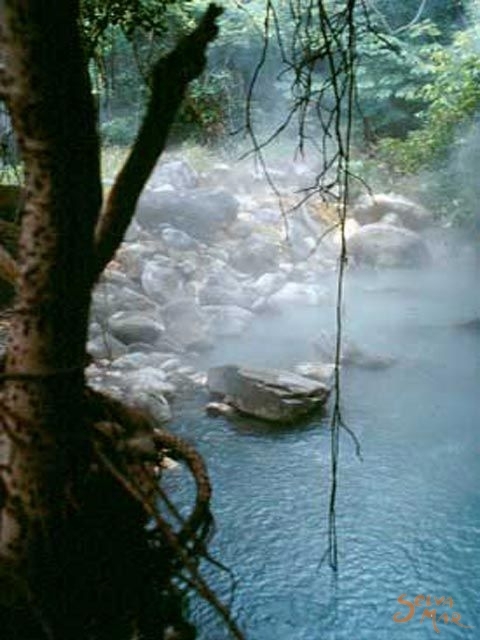 Sulfurous Hot Water Spring. Offer a unique experience, relax while bathing in this unique swimming pool filled with warm water coming out of the mountain. See one more thing that is unique from Rincón de la Vieja Volcano, “The Vrizea Vulcanicola “, bromeliad endemic to this Park and Costa Rica. Bromelias have no preference for a specifie tree, although they do have one for a particular habitat. 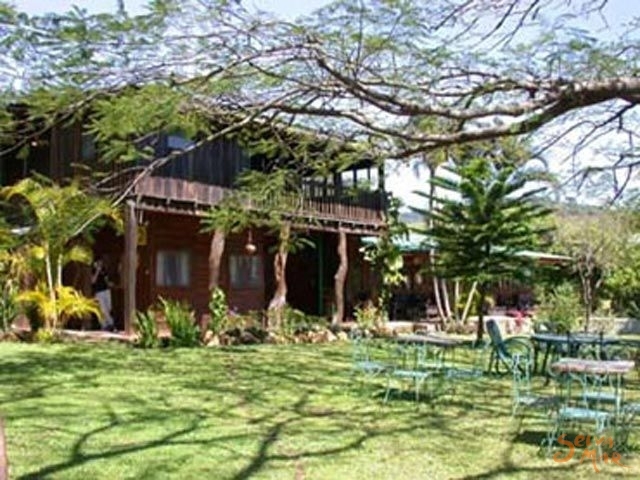 Located 21 miles east from Liberia International Airport, we are within the border of Rincón de la Vieja National Park, and inside the Guanacaste Conservation Area in Costa Rica.